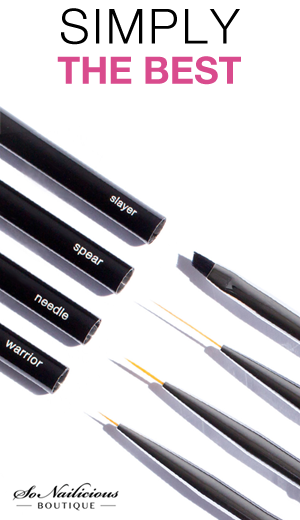 Eliminate all external damage to your cuticles. Stop using all lotions, oils and polishes. Polish remover can dry sensitive skin and cuticles. Only use pure olive oil (buy from a grocery shop) or almond oil from a chemist or organic food shop) to soften them. Don’t cut them (ever). Instead use a good cuticle remover to groom them. Avoid pushing them too hard and wear gloves if you do any housework or gardening. 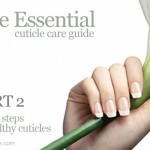 Here’s more great tips on cuticle care. Improve your diet. Make sure your diet is rich with vitamins A, C, E and B (B1, B6 and B12). These are some of the main vitamins responsible for your skin condition. Vitamin deficiency, particularly a lack of vitamin E, can cause dry skin. Make sure you’re your diet is rich with the previously mentioned vitamins by eating milk, eggs, oats, fresh fruit, olive oil. Here’s more information on the best foods for strong nails. Avoid fast food, it’s better to exclude fast food completely. Finally take the appropriate vitamin supplements – multivitamins or vitamins for skin and nails. See a doctor. If after 3 weeks of having a good diet and not touching your cuticles they’re still looking damaged and dry, I’d recommend seeing a doctor. It may be some kind of infection, allergy or even hormonal problem that would require a more serious treatment. don’t leave polish remover on your nails for extended periods when removing nail polish. 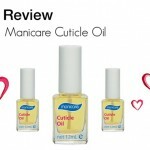 Even better, apply cuticle oil before removing nail polish to protect your cuticles from acetone and other chemicals. I hope the above recommendations help. 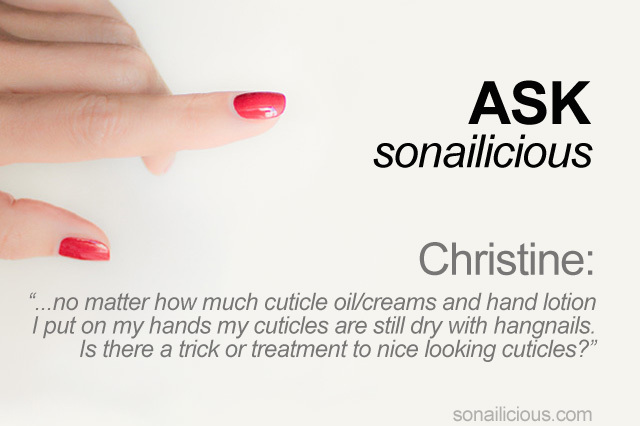 What about you, what are your best tips for dry cuticles? Have you ever faced a similar problem and what did you do to solve it? P.S. Got a nail question? 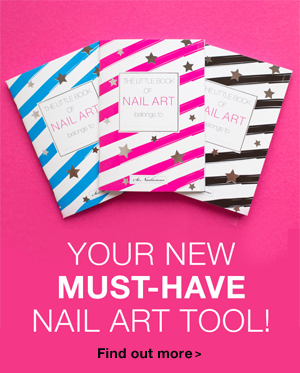 Email Maria at editor@sonailicious.com, tweet @so_nailicious with a tag #asksonailicious or message me on Facebook. We’ll do our best to answer! 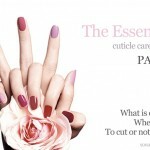 The Essential Cuticle Care Guide: What Is Cuticle? 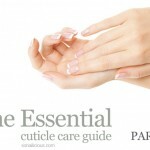 The Essential Cuticle Care Guide: Why do you need to care about cuticles?